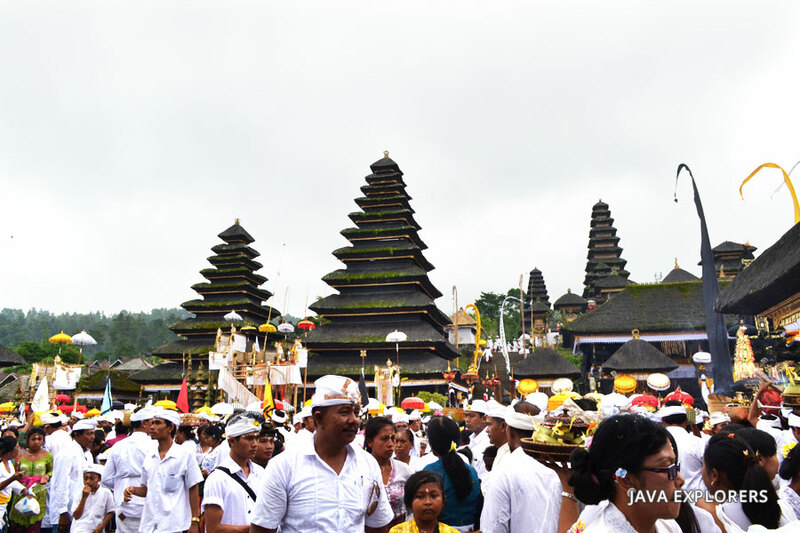 The tour Start at 08.00 AM from your hotel in Denpasar. 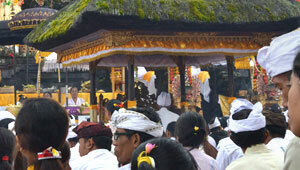 A full day tour will cover area of center west of BALI. 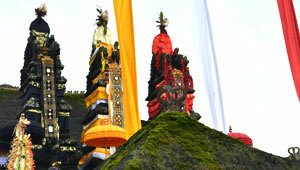 First please to visit is TAMAN AYUN TEMPLE. 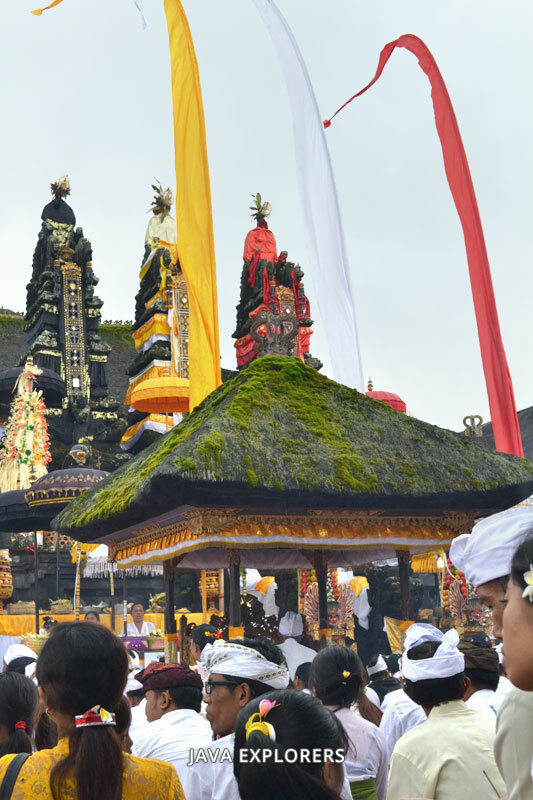 This site is a Royal Temple of Mengwi Dynasty built in the 17th century, the wonderful temple building with typical roof as well as Balinese Architecture. The Pura Taman Ayun means the garden temple in the water. As one of the most prominent temple on the island, the Pura Taman Ayun is respected not only the divinities it was built for the first time for, also this sacred and beautiful temple is built for such great festivals and all religious events. 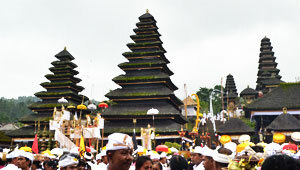 Now TAMAN AYUN TEMPLE or Royal king family Tample of Mengwi kingdom has become one of the UNESCO site. Tour continues to JATILUWIH UNESCO HERITAGE. 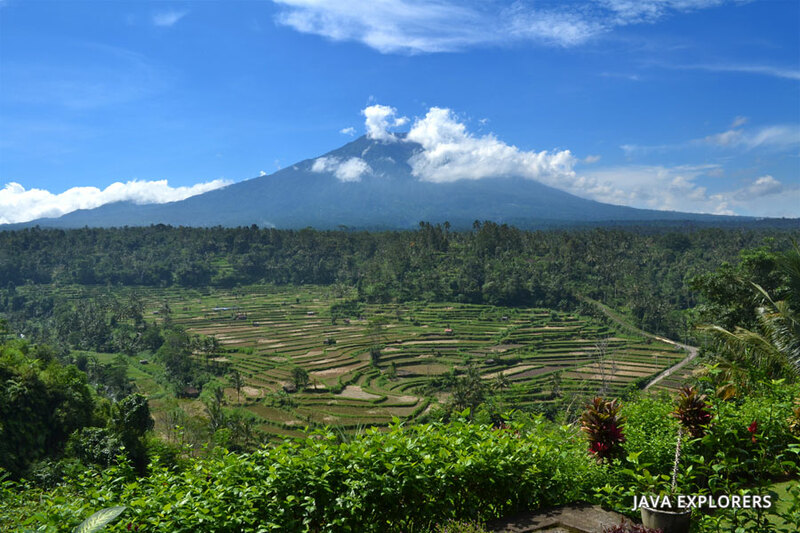 Jatiluwih is a favorite tourist destination in Bali famous with the beautiful rice terrace unfolding from the foot of mountain until the coastal side. 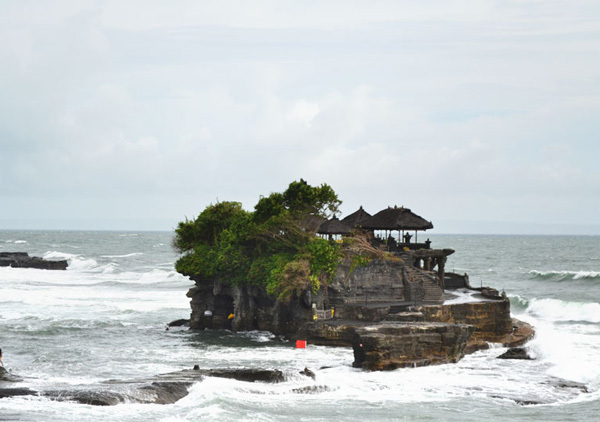 It is one of places to visit in Bali with the beautiful view as according to its name from Jati and luwih, where Jati mean really and Luwih meaning especial, good, and beautiful or the equivalent. The local paddies are planted in this place look typically of the high relative size plant if it is compared with other pre-eminent paddy planted by most farmers in Bali . Despitefully, Jatiluwih also famous with its organic agriculture system due to the location is located in the in the plateau of Watukaru Mount which is suitable for the agriculture development. Jatiluwih is surrounded by cool atmosphere because it is located in the height of 700 meters above sea level. Jatiluwih is also visited by tourist from local and foreign countries who want to enjoy the cold atmosphere and beautiful panorama of rice terrace. Jatiluwih is a place to go whenever you need fresh weather, majestic view of the extensive terrace rice fields. 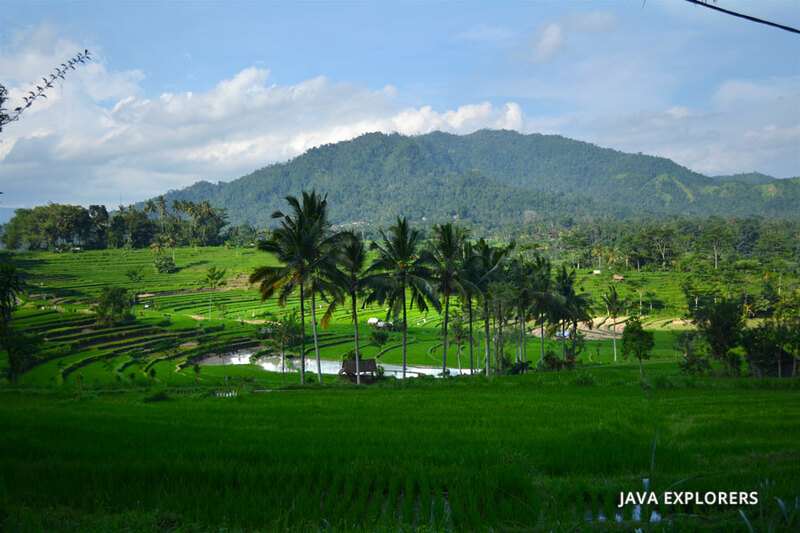 The most enchanting natural attraction in Jatiluwih is the terrace rice field back-grounded and beautified by mountain with its tropical forest and greeneries. What makes the paddies harvests in Jatiluwih different than in the other places is that the Jatiluwih paddies are popular for their big size and the highest quality. Also, Jatiluwih is renowned for its organic agriculture system. Lunch will serve at Local restaurant with buffet style. Afterward drive to ULUN DANU TAMPLE. Visit the temple closed to the lake Bratan. Ulun means Heart and Danu means Lake. 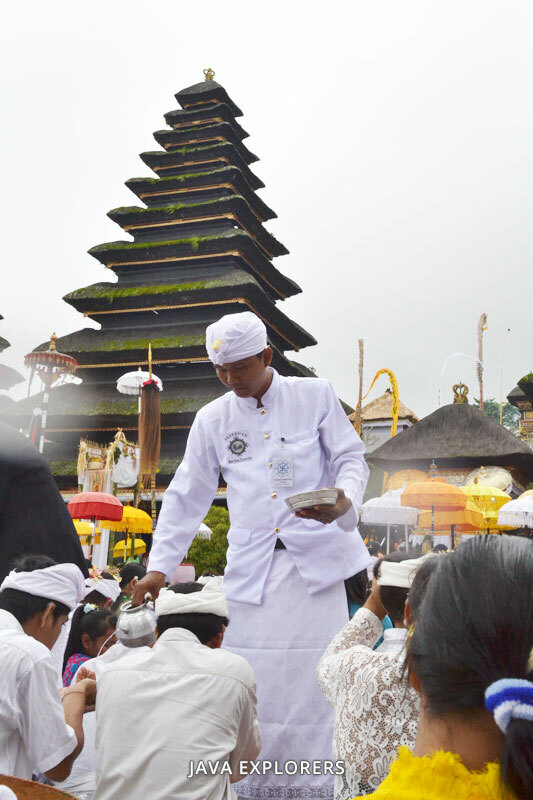 Ulun Danu Temple is a famous Hindu temple located in the lakeside of Beratan and owns the beautiful panorama with Beratan Lake and mountain as a backdrop view. When the lake water is going up, this temple is looked like adrift above water because the water encircles it. It is situated in the cool area and mountain with breathtaking view. 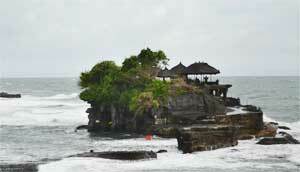 Tour continues to TANAH LOT Temple. 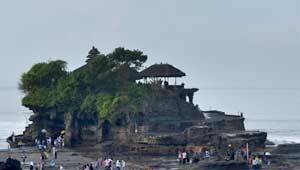 This temple built at 16th century on the rock closed to Indian oceans. The spectacular view for sun rise will available when a good weather. 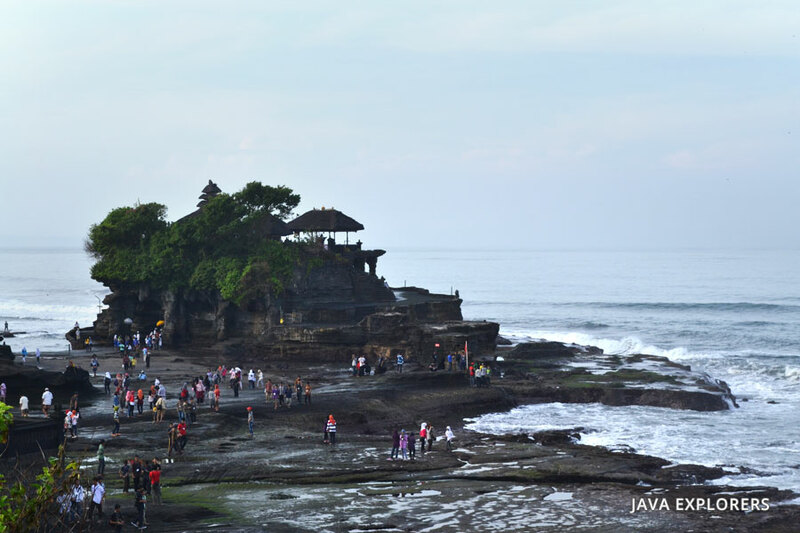 Tanah Lot is a Balinese Hindu Temple on the rock and the seawater encircles it when the sea water is tide. It is looked to be adrift in on the ocean and owns the magnificent view of sunset in the late afternoon. There are several points to see this temple with all amazing view. 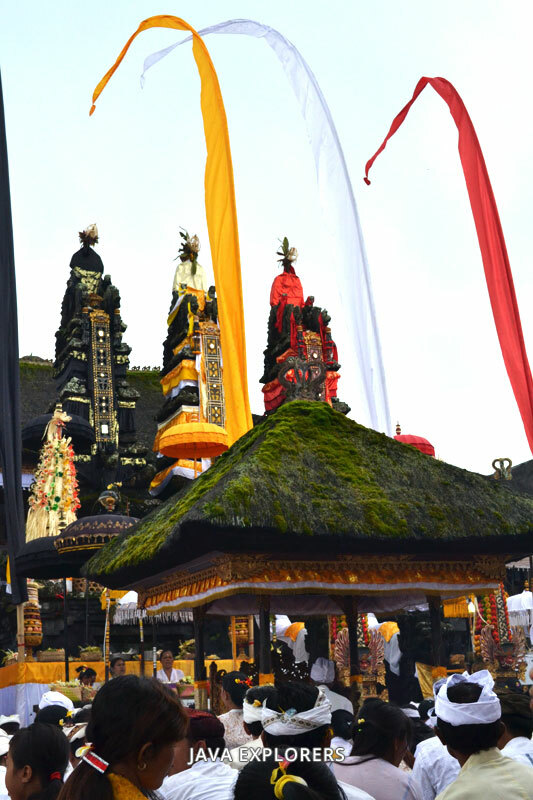 At this temple, we can find other Hindu temples like that make it a holy place in Bali. 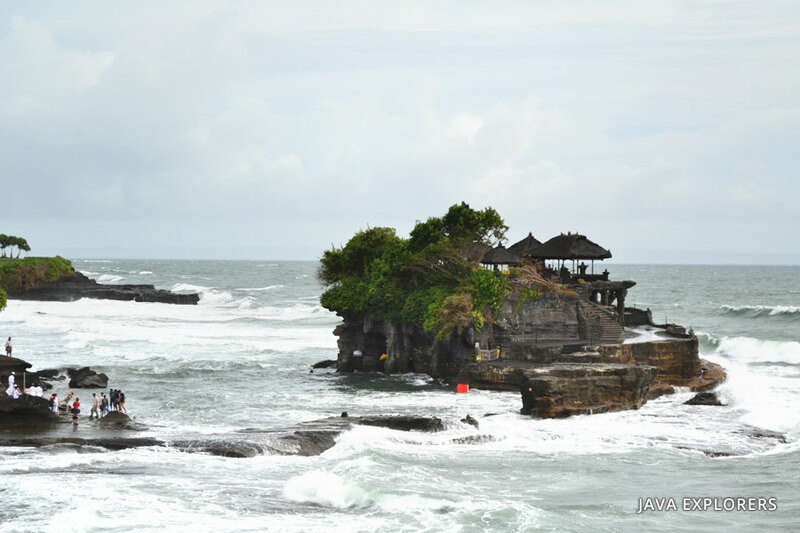 There are sea snakes dwell the cave in front of Tanah Lot Temple which you can see with small donation and those of them are believed the holy snake by the local community. Tour will finish after the Sunset.